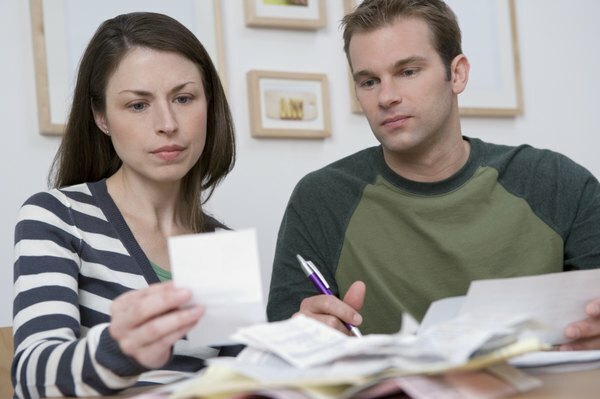 Liquidating debt may free up cash to improve your financial situation. If credit card or loan payments have you scrambling for money each month, welcome to the world of doom and debt. It’s not a pleasant feeling, but liquidated debt may include selling your assets to pay down or eliminate the debt you owe. You can do this by choice, but bankruptcy may also liquidate debt to satisfy your creditors. Examine your options carefully when you consider converting your real property, stocks or other items of value into cash to liquidate debt. Liquidating your debt depends on how far you overextended your credit. You may be facing job loss, salary cuts or unexpected expenses due to unforeseen events. If your debts have interfered with your financial situation, causing turmoil in your life, first contact your lenders and see what kind of negotiation on payments you can make. You can then decide how much of your debt you want to handle. You don’t necessarily have to eliminate debt, but get it to where you can pay it off each month to improve your financial condition. You want to free up some cash, so you can enjoy your life without the constant worries of growing debt. Items to consider when liquidating debt may include your financial investments, 401k funds, IRA accounts or cash values on any life insurance policies. Taking money from your retirement accounts, such as 401k and IRA money, has short-term and long-term consequences. You will be taxed and financially penalized for early withdrawals. The tax you pay on the extra cash you receive could even move you into a higher tax bracket. You may have surrender charges on life insurance policies and also leave your dependents without life insurance protection. However, paying off a good portion of your debt may reduce your debts significantly, so your can start saving money again with plenty of years left before retirement. Before taking money out of your savings accounts, focus on real property that may reduce your debt. Unloading your car and buying a less expensive one or selling any expensive items you may have and don’t necessarily need would make better sense, depending on your circumstances. Selling your house and downsizing may become a difficult move, but consider all assets you have to settle your debts. Then think hard about what you want to sell and how it will affect your life in the near future. However, if you need to sell your property to deal with debt, your problem could stem from the reasons that got you into financial difficulty in the first place. Assess your financial situation and consider what will happen down the road if your condition does not improve. If you cannot relieve most or all of your debt, filing for bankruptcy is a last resort. 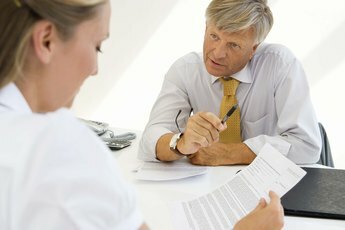 Depending on the type of bankruptcy you file, you can be relieved of your debts, but the court may decide you can surrender items of property to satisfy creditors by agreeing to a dollar amount on undisputed or liquidated debt. 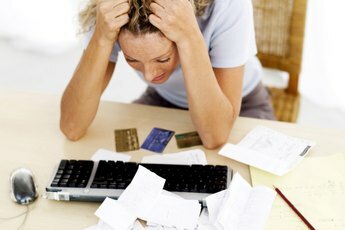 Filing for bankruptcy is major undertaking and can have a negative impact on your credit history and score. Discuss this option with a bankruptcy attorney when considering liquidating debt in this fashion. If you're a small business owner closing a business, you may need to liquidate business assets in order to pay creditors. This consists of listing real property from the business and money owed to you from the business for unpaid bills. Assets to liquidate may include business equipment, furniture, art, supplies, vehicles, prepaid insurance premiums or real estate. You should list a description of each asset, the condition of the property and your personal or business funds. You may also sell intangible property, such as commercial leases or contracts. You need to find buyers to liquidate your assets and often sell for less than what the items are worth. Your business assets will help pay off the debts occurred while you had the business. Bankrate.com: How Far Should You Go to Pay Off Debt? Can a Bankruptcy Filing Be Dismissed If It Was Made During a Divorce? Does Net Worth Include Intangible Assets? Is it Smart to Pay Off Credit Card Debt With a Line of Credit? What Can You Do to Get Out of Major Debt? Is Debt Settlement Necessarily a Bad Thing? What Happens If Debt Is Not Forgiven? 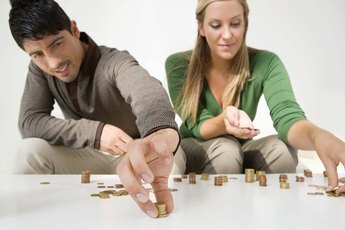 What Happens to Debt Once You Are Married?